1. Describe yourself and your blog. My name is Ashley, and I have two busy boys ages 5 and 2. I’m a lover of running, supporting fellow moms, and keeping it real. We have moved all over the country, but have settled in Oregon, which we love! 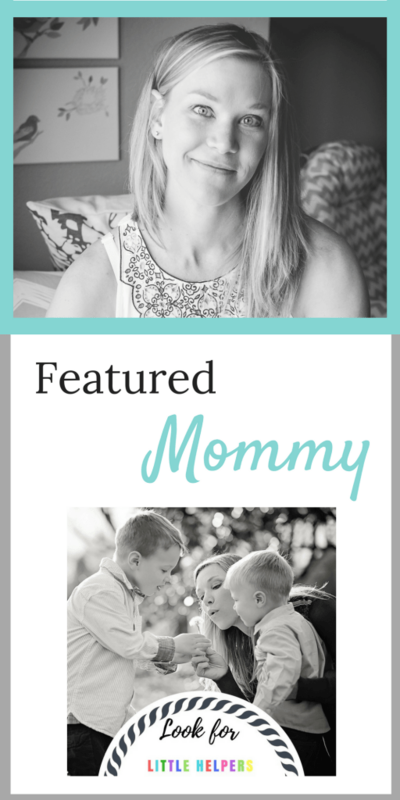 I am currently a Stay-at-Home Mom but am a Speech-Language Pathologist by trade. I will go back to work at some point but am trying my best to enjoy these early years with my kids. I have a blog called Look for Little Helpers (www.lookforlittlehelpers.com), where I write about gratitude, kindness, community service, and celebration of diversity with children. I’m trying my best to raise compassionate, thoughtful, globally minded children who can make positive changes in the world. My goal is to share resources and strategies with other parents. 2. What is the best moment you have had as a mom? Oh, to narrow down all of motherhood’s amazing moments to a single one?? That is so hard! From seeing those first smiles and belly laughs to watching your children learn, grow, and blossom into beings you never imagined could possibly come from you: motherhood is just amazing! But, I would have to say one moment stands out above most of the others. Recently I took my oldest son out for a mommy-and-me date to see his sweet friend perform in the Nutcracker. I had mentioned that when you go to support someone in a dance performance, it is nice to bring flowers. He immediately clung to this idea and made sure we left early so we would have time to pick some up. I had fully anticipated ordering the flowers myself. However, I stood back and watched as my 5-year-old sports-and-dirt-loving son ordered a bouquet of flowers in pink and purple, with ribbons and sparkles, completely on his own. After the play when he handed his friend those flowers, his look of absolute pride and the sweet exchange they shared just melted my heart. He went to watch a dance performance, dressed up in his finest clothes without his baseball hat (if you knew my son, you’d realize what a huge thing that is), all to support and cheer on a person he cares about. For a mom who wants her kids to be kind, this moment melted my heart. Bigger than that, though, was the fact that I could see in my little boy a glimpse into the future. I saw him all grown up for a split second, and it made me both sad and proud all at once. It all is going to go by too quickly, but I am so glad I got to savor this sweet little moment. 3. What advice can you give to other moms? My biggest piece of advice is to establish a good morning routine. Even when I don’t get a break, or life’s demands become heavy, having a good routine in the morning automatically sets me up for a better day. I start by trying to get up before the kids. I am NOT a morning person, so this was a huge hurdle for me. But, I have learned that being able to sit in silence for even just a brief time with my blog and a cup of coffee is very centering. When the kids wake up and chaos ensues, I am much more ready to take it all on, rather than scrambling straight from bed. Before we rush off to school and responsibilities, I do one short mindfulness activity with my kids (breathing, coping strategies, meditating, etc.). We don’t spend a significant amount of time (anywhere between 1-10 minutes), but becoming fully present and calm is amazingly helpful before we set off on our hectic day. 4. 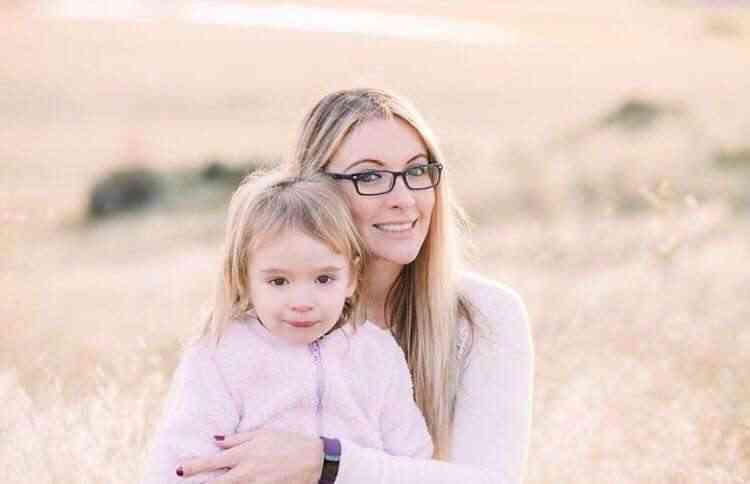 What is the scariest part about being a mom? The scariest part of being a mom is definitely all of the unknowns the future holds. Will my kids be kind? Will they be happy? Will they get sick or be in an accident? I have anxiety, so my mind often wanders away to the scariest of scenarios. I do well with things I can control, but anything beyond my control is terrifying to me. It will be hard for me as my kids get older to “let go” and allow them to make their own decisions. However, I keep reminding myself that I am doing the best I can to give them the tools to make positive choices. They are their own people. They need to make their own mistakes and find their own successes. I’m just working hard to guide them along the way without worrying too much or trying to control what I can’t. 5. Tell us a story about motherhood. 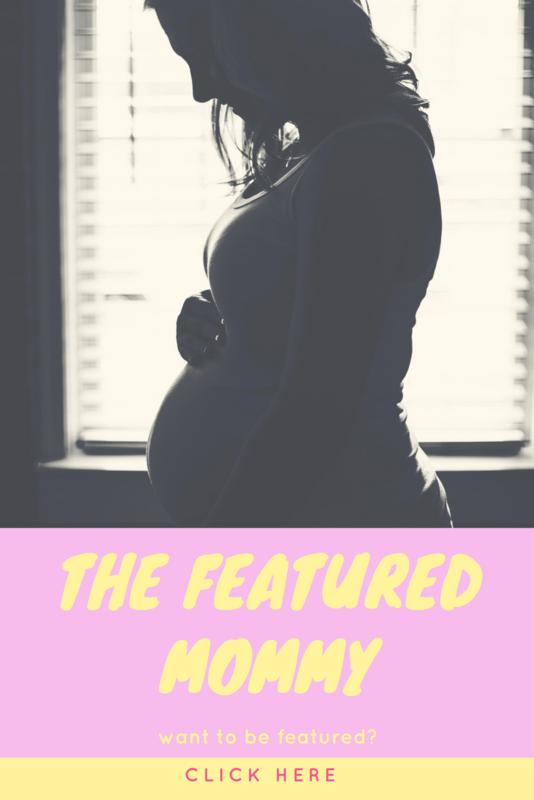 Motherhood has changed me in a multitude of ways. I have always harbored a deep love of reading and learning. I learned to play tennis and piano, I moved away and got a college degree in a field I grew to love, and I continued on to receive my Master’s Degree. I worked in a variety of environments in the school system and gained as much knowledge about children, special needs, teaching, and teamwork as I possibly could in the five short years I worked as a Speech-Language Pathologist. But, NONE of those even came close to giving me the deep and profound knowledge I gained by becoming a mom. Those early months with my first child opened up my brain and heart to a love so strong and emotionally charged that I can’t believe I ever thought I had known love before. No, THIS is love. Being a mom taught me that I’m stronger than I had ever believed. Not only can I survive on no sleep for months on end, but I can also take full responsibility for another human life at the same time! I can experience extreme pain and still want to do it all over again. It taught me that I can adapt and grow in ways I had never imagined. Just when I think I’ve got my children and this parenting thing down, these kids go and change it up on me and I have to start from square one. But you know what? I can do it: over, and over, and over again. Motherhood taught me to let go of the small and insignificant things, to be less Type-A, and to go with the flow. We really have no choice but to be the most flexible human on earth when taking care of little ones. I have discovered that some of the most important learning we do is through experience. No book I read fully prepared me for all I would need to know and do as a mom. Every child is so different. What works for one of my boys doesn’t work for the other. What works one day doesn’t work the next. Motherhood pushes us to the edge and makes us question everything! I’ve learned that, no matter how hard parenting may be, I can still look at my kids at the end of the day and be proud. I made them. They are exceptional. That’s pretty amazing. 6. Anything you would like to add? Being a mom is incredible. It’s the best thing in the whole world. But it can also be lonely, draining and defeating. So, I guess my final note would be this: Let’s stick together. Let’s lift each other up. Let’s leave judgment out of it and support each other. We are all doing our best. We can give each other advice, help, love. But we can also just let each other be who we are. No one choice is the right one. The best we can do is to make each other feel good. Kindness and compassion is always the best practice. Much love to you all. Going Home From the Hospital in Style!